This entry was posted on June 14, 2009 at 10:37 PM	and is filed under InfoPath 2007, MOSS 2007. 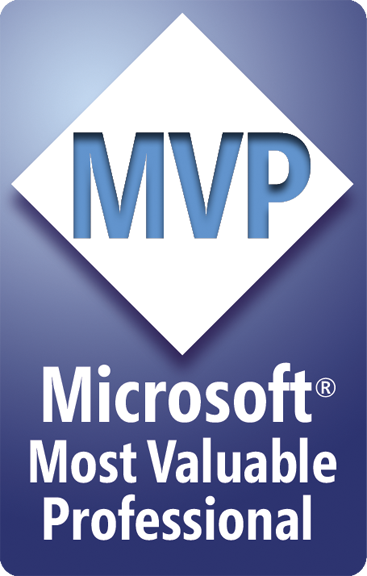 Tagged: browser, browser forms, browser-enabled, GetUserProfileByName, infopath, moss, permissions, roles, security, sharepoint, user roles. You can follow any responses to this entry through the RSS 2.0 feed. You can leave a response, or trackback from your own site. This is a rockin post. Nice job defusing User Roles for browser forms. At what level is the Contact list being created? in the infopath document library? or the actual parent site for the infopath forms? 1) You can’t create a list inside of a document library. The contact list in this case is located in the same web (site) as the form library, but it can be anywhere else in the site collection, because it’s simply a data connection. 2) What are you trying to do in this 2nd part? You want a separate view for every person? To do that, you’d have to know how many people there are, create a view for each one, and then configure the dropdown to have a rule that switches to the respective view when a person is selected, but I don’t understand that situation at all. Are you saying that when a different person selects someone in the dropdown, then when that selected person later opens the form, it switches them to a specific view? 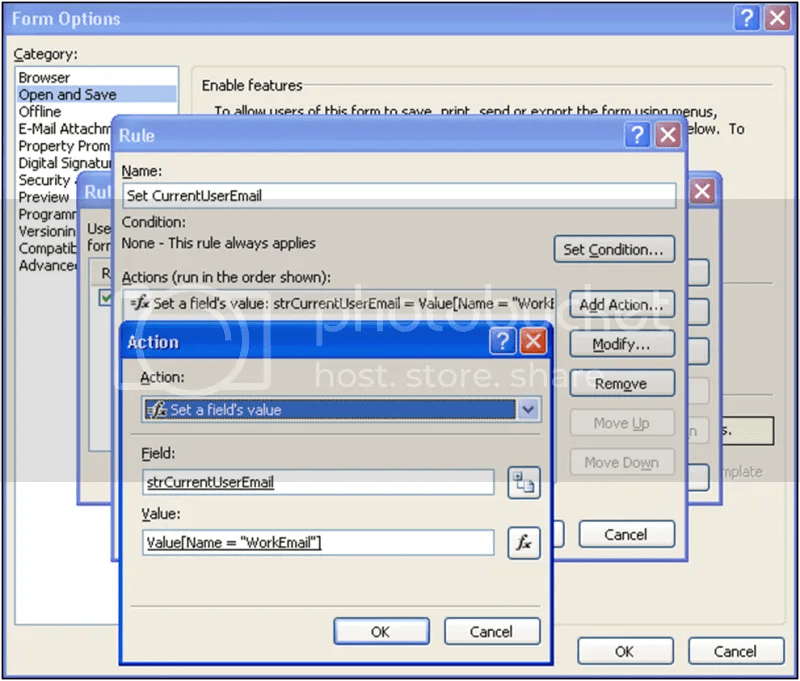 You can do that simply with Form Load rules as shown in the blog. I really just need to know what you’re trying to do, and then we can figure it out or determine that it can’t be done. 2) I have a form that allows the person submitting to choose a contact from each of 2 dropdowns who will receibe an email requesting “sign-off” of the form request. 1) Mark, my list is a Contacts list, not a custom list. You will need to use a Contacts list and modify it if you want it to be able to Connect to Outlook. 2) You shouldn’t use dropdowns for choosing people unless you have a very small list of static people, because that is something you’ll have to maintain manually. 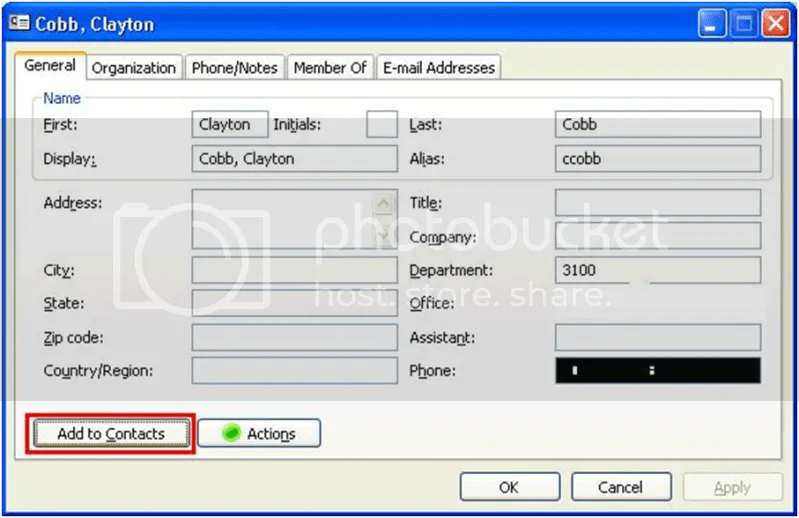 If you use the Contact Selector, then you can choose from all people without any maintenance, and the value saved in the form can be used to send dynamic emails. The 2nd part I don’t understand, because first said that the form submitter chooses a contact from 2 dropdowns, but then you said you have rules that switch views based on the user’s current role. Are you referring to people OTHER than the submitter? You didn’t give that piece of detail. Anyway, what “value in dropdown” do you have for matching user roles? You said that names were in the 2 dropdowns, but you didn’t mention another dropdown have a defined role, so I’m not sure what the scenario is. Regardless, to get user roles working in browser forms, you just use the methods shown in my blog. You see right here how to use a Contacts list, but you can also use AD security groups if you check my other blog on the topic. Which part of using the contacts list isn’t working for you? Thank you for the post. I tried to use this solution but am stuck on this. 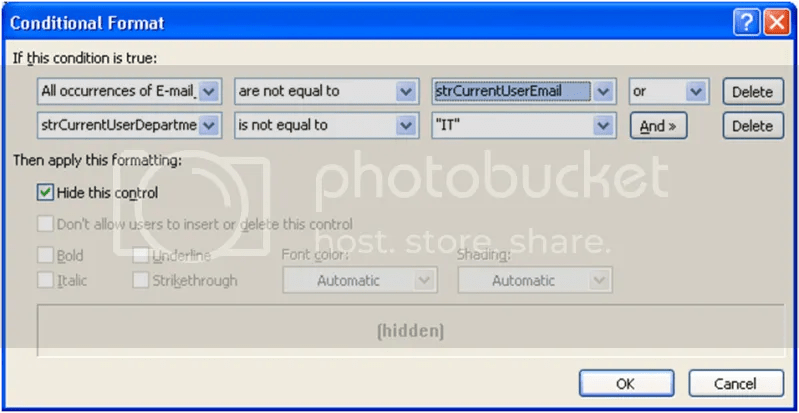 I do not see a dropdown “All occurrences of E-mail_Address” when selecting the email field. Any idea where it could be hiding? Thanks in advance! Olga, when you select the node of your repeating group within the secondary data connection, you don’t see a dropdown at the bottom with multiple options? Does your screenshot look EXACTLY like mine in Figure 7? It has to be a field within a repeating group, and this should be coming from a secondary data connection. I have a custom list with a Person field populated with a few people who will be acting as Reviewers for the form. Is there a way i can populate the drop down in infopath form with the list of people from the custom list? If No, is there an alternate approach. When using a list as a data source for InfoPath, the rows of that list are the repeating rows of the table in InfoPath. When you have multiple items in one field of one row, then it becomes a repeating value within a repeating value, which makes it tough to deal with. You would want your Reviewers to be separate line items in the list as opposed to multiple items within one list item. It may be possible to use multiple names from ONE list item, but I haven’t attempted it. 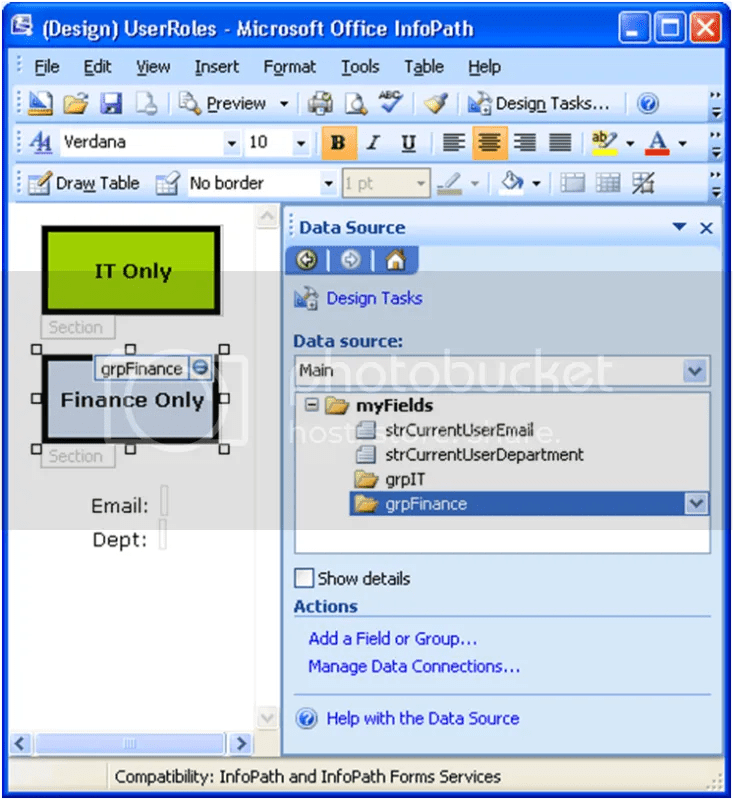 What does the data from that People Picker field look like when you retrieve it and put it in InfoPath? Would this same process work for a form that is not browser-enabled? We created a form for our Sales Team to use, but we don’t have MOSS Enterprise so users will be filling out the form from the InfoPath client. Also, for my test purposes I don’t have access to Outlook. I’m wondering if this needs to be created using “Connect to outlook” or if I can create a small Contact list directly on the site and add the information myself. It’s a small group of users so the Contact lists wouldn’t take much to maintain. 1) Yes, this works in any type of InfoPath form. 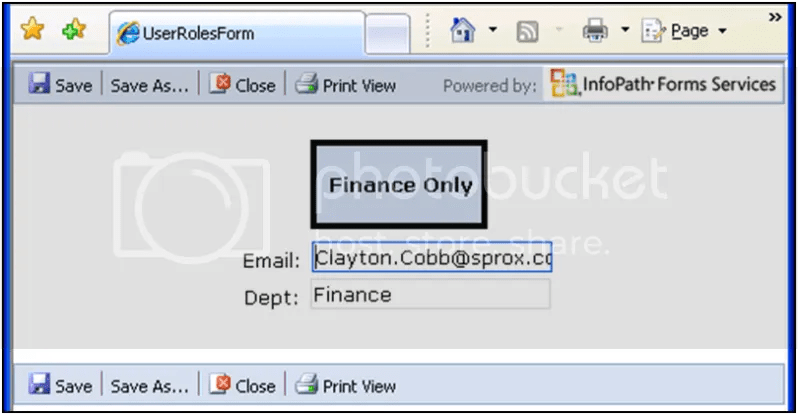 It’s just that you only need it in browser forms, because rich client forms can use the built-in User Roles feature. I recommend using that before using my methods. I only made these articles due to the limitation of browser forms. 2) You definitely do NOT need Outlook. I just show that as a more efficient means of maintaining the Contact List and to show one way that Office Integration works. 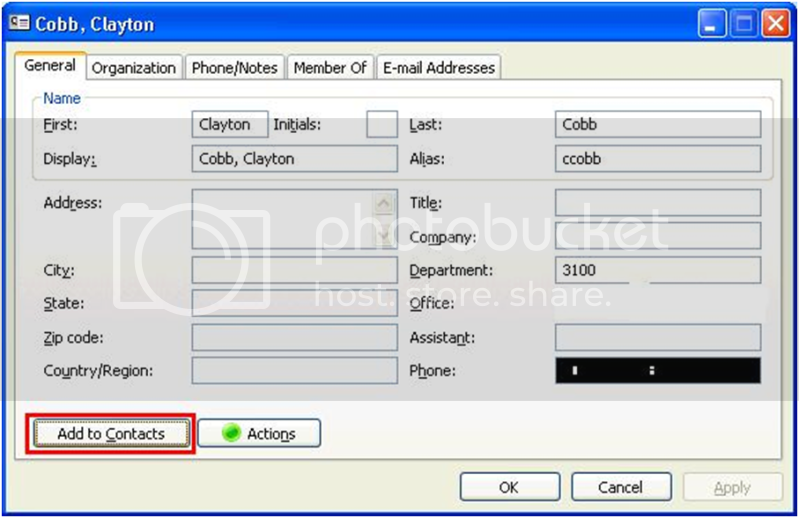 You can maintain the Contact List manually – I do it quite often with different solutions I build. I’m wanting to use getuserprofilebyname web service in a FBA claims authenticated SharePoint 2010 site. The users who will be benefiting from the prepopulation of form data, are extranet external customers. I have successfully used this functionality in windows authenticated domain environments but FBA is throwing me for a loop. What part is throwing you for a loop? You didn’t explain the problem yet. I have been wanting username() function, and other functions to work with FBA authenticated users. What I have discovered is that .me filter with createdby does work in this context, and I can make that work for my requirements at the moment. I guess my mistake was assuming that everything (SharePoint environment)that worked for Classic authenticated users would just work for Claims users when the trasition was made, and that is not the case. Filtering on [Me] only works if the person actually created the item, and even then, it’s obscurity and not security. 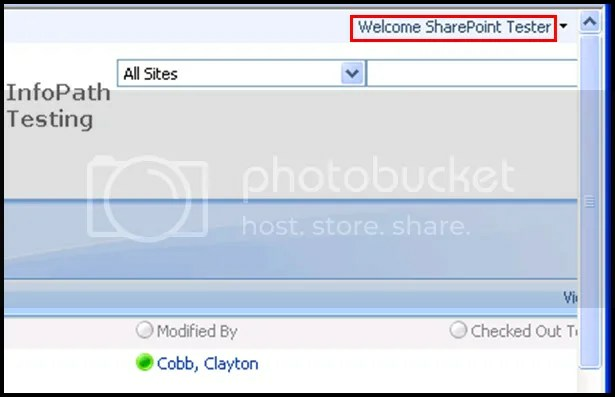 That also only works in the SharePoint view and not inside the form itself. Great post! I applied your method and it works perfect! 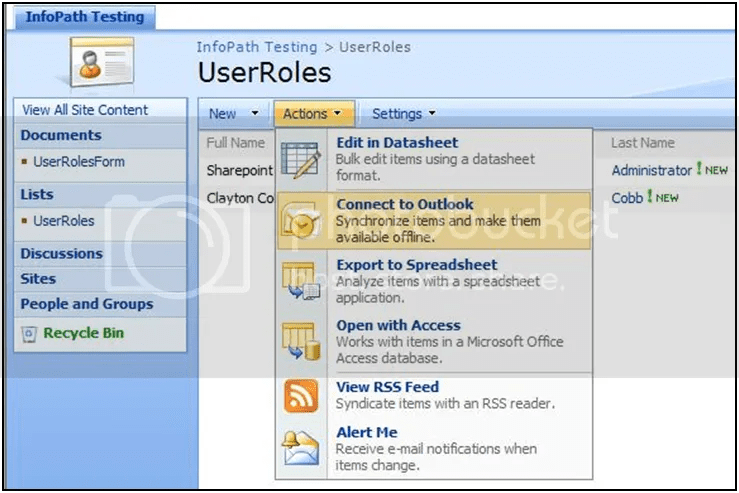 I created a form which opens up different views (admin/user) depending on the user’s presence in the custom list I created in SharePoint. The custom list contains the admins for the form and not connected to Outlook. 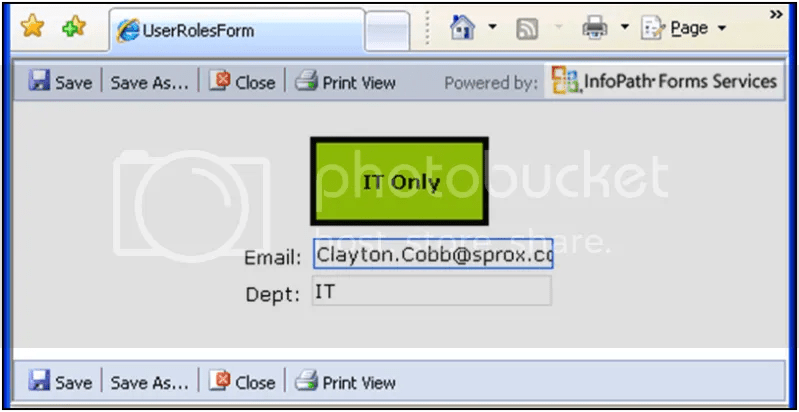 However, I connected a workflow to the form document which should notify the admins in the custom list via email whenever a new form is created. 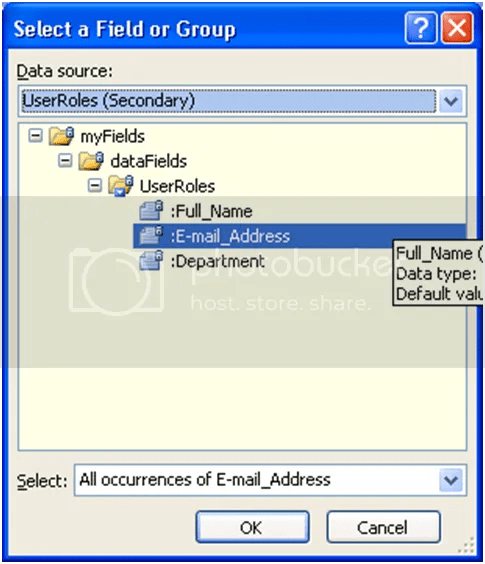 Currently, I manually added the admin’s email addresses in the email’s “To” field. Is there a way I can automatically pull the users listed in the custom list and use it in the workflow email? You already have a data connection to the contact list, so you have the email addresses. You need to use the double eval trick from alec pojidaev’s blog to concatenate those email addresses into a single field delimited by semicolons. The article is codeless programming #1. Himanshu, you don’t “enable” it. It is only available in Filler forms and is automatically available. I’m falling at the first hurdle. I created a MOSS Contacts List and syncronised with Outlook 2007. I cannot copy contacts within Outlook from My Contacts to the Contact List (create as per instruction) visible under Other Contacts. The message states “Cannot move the item. You cannot make changes to contents of this read-only folder.” I cannot see a reason why it is being deemed read only. Trying at add a new contact to the list directly I get ‘You cannot make changes to content of this read-only folder’.